Another year has passed, and as I pause to take a breath and look back at everything that happened in 2015, I once again find myself reminded of a number of important things. First and foremost, I’m reminded of how fortunate I am to be surrounded by a brilliant and energetic team of professionals that never ceases to amaze me with their ideas and dedication to our industry and our customers. 2015 saw the release of several exciting new features in our software products. Given that we are a software company that certainly comes as no surprise, and in fact is something that our valued customers have come to expect – just as we’ve come to expect it of ourselves. This year, however, is a landmark year in terms of new projects that our developers have begun. We’ve partnered with more manufacturers than ever before and nearly doubled the size of our development and catalog teams. All this was done in the expectation of bringing several exciting new products to release in 2016. In the past, AVAware has revolutionized the way that ‘detailing and estimating’ software can be integrated with a variety or accounting and ERP packages. AVAproject Fusion and its many “connector” modules have extended the reach of the project manager’s desktop to virtually any ERP platform. In the coming year, we expect to further revolutionize the way they work. Innovative new project management features and powerful enhancements to existing technologies will dramatically streamline the entire process, and give our users capabilities that they never had before. This December marked AVAware’s 19th year of operation, and as we move into our all-important 20th year one can’t help but recall those early days, that seem like yesterday, when we started a company with so many ideas, plans and goals. AVAware was started with the intention of bringing innovation and state-of-the-art software products to the architectural openings industry. Beginning with the launch of our DOS -based AVAcad in 1996, we’ve been innovating ever since. As always, I would encourage all of our clients to pay close attention to upcoming editions of our AVAwire newsletter in the coming year. With so many exciting new products and features in development, you won’t want to miss anything. 2016 will bring with it some of the largest and most ambitious projects we’ve done to date. There is nothing more important to all of us at AVAware, than to constantly reaffirm our clients’ decision to use our software products. On behalf of all of us at AVAware, we wish to thank all our valued clients, vendors and corporate partners for all their past and ongoing support. From our family to yours, we wish to extend our best wishes for a safe and happy holiday season and a very prosperous new year. 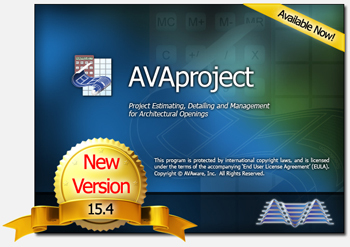 The fourth and final 2015 edition of the AVAproject Suite (rev 15.4) is online and available for download. The much anticipated final release of AVAproject Suite for 2015 is now in general release and available for download by all users with active ‘Support and Update’ plans. This build has in fact been “much anticipated” by many users as it brings with it, in addition to several new features and enhancements, support for Microsoft Windows 10. Originally intended an autumn maintenance release, 15.4 was held back following initial testing on the initial releases of Windows 10. 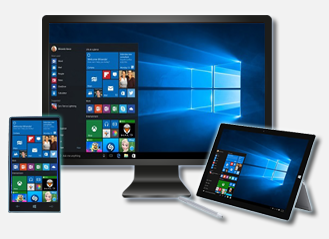 Microsoft posted numerous updates and “fixes” since the initial release this past summer. While each update seemed to correct many issues, some brought along new ones as well. After extensive testing with both “Home” and “Professional” versions of the new operating system, AVAware is finally confident in supporting it for use with AVAproject, AVAcad and AVAproject Fusion. Automatic classification of products under a new “Product Group” attribute. Additional Microsoft Word and Excel export options for sections of the Submittal Package. Several new reporting and frame construction options. Powerful new tools for ‘multi-column’ searching and door machining details. 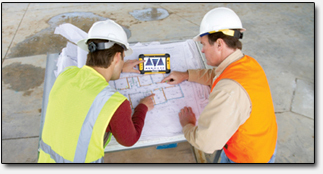 The ability to import Allegion SpeXtra files. As usual, a complete list of “Release Notes” is available in the software’s built-in “Help” system and can be previewed prior to download in the “Product Updates” section of AVAware website. Note: User must have a valid AVAware "online account", and log into the client area on AVAware website to access the “Product Updates” page. AVAproject users can now import files created by Allegion’s SpeXtra specification writing software, directly into their projects. Allegion is synonymous with some of the most recognizable brand names in the architectural industry. Brands like Schlage, LCN, Von Duprin and so many others; their products can be found on openings throughout the world. As part of their marketing effort, Allegion maintains an army of specification writers; all of them eager to assist, by providing door and hardware specs to many of the industry’s leading architects. Specifications are created using a piece of proprietary internal software called, “SpeXtra”. Although the software itself is used exclusively by Allegion, they do provide exported data (in the form of .XML files) for use by their distributor partners. Earlier this year, AVAware was contacted by Allegion’s software group; they wanted to know if it was possible to offer AVAproject users the ability to make use of SpeXtra files to facilitate the creation of project estimates and submittals. It certainly is. AVAproject users can look forward to having the 2016 Anemostat Product catalog available as part of their D8 Hardware subscriptions. It’s with great pride that AVAware welcomes Anemostat Products of Carson, California to our growing family of manufacturer partners. Anemostat is an industry-leading manufacturer of lite kits and louvers for architectural doors. Their products are seen throughout the industry, and are even supplied as “standard” features of many popular hollow metal and wood door lines. All of us at AVAware were thrilled when Anemostat asked to have their catalog included in our library, and make it available to AVAproject users. Beginning next year, Anemostat’s brand new 2016 catalog will be available for download by all AVAproject users subscribing to ‘Division-8 Hardware’ catalogs. AVAware would like to thank Anemostat for their support of our products and our mutual customers. We look forward to a long and prosperous partnership for many years to come! It happens to the best of us. A sudden loss of data can be a devastating blow to productivity, say nothing of one’s peace of mind. We know the scene all too well; hours spent toiling away at the computer, inputting data – line after endless line, putting the finishing touches on the latest doc someone desperately needs by the end of day... and then it happens - the screen goes black. For whatever reason; whether a memory leak, I/O conflict, sudden power outage, or some other meaningless techno-babble that means absolutely nothing and offers little comfort in a time like this! Losing data can be frustrating, infuriating… and costly. Fortunately, modern productivity software has data recovery systems in place for just such an emergency. In the event of a crash, a file is not completely lost and is loaded from temporary storage getting it back quickly – hopefully with a minimal loss of data. 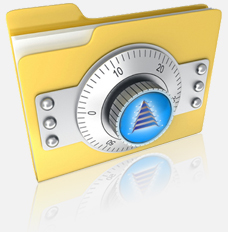 Word and Excel, both popular programs from Microsoft, employ such methods of data recovery. In the event of an unexpected shutdown, the software attempts to recover the most recent document the next time it is launched. In the case of Word and Excel, they load the recovered files from their recovery locations and immediately delete the backups, thus putting the onus on the user to save any recovered files. Goodbye traditional web hosting services and hello Microsoft Azure! AVAware has flipped the metaphorical switch on our traditional web hosting methods in favor of the Microsoft Azure platform. AVAware is pleased to announce that all our web/cloud based services, including AVAware.com, will be moving to the Microsoft Azure platform. Azure is a collection of enterprise, mobile, and web applications built, deployed, and managed across a global network of datacenters. 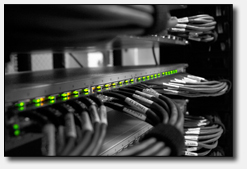 The fact of the matter is that all web hosts are not created equal. Web hosts can vary tremendously based on such things as the types of services they offer, and range of resources that can make available to the sites they maintain. AVAware has always used prominent and well established web hosting companies to maintain our presence on the World Wide Web. Everything from the site our visitors see at www.avaware.com to the “back end” SQL servers that hold data such as catalogs and user subscriptions, have resided on “web servers” maintained by our “web hosts”. For many years now in fact, AVAware has been using one of North Americas largest “traditional” web hosts, which provides similar hosting and services to countless corporate clients. After the longest and most public beta programs in the history of development, the world’s largest software company released the latest edition of the world’s best selling software program. The company is, of course, Microsoft, and the landmark piece of software is none other than the much-anticipated Windows 10. A New release of Windows is a major event in the technology industry, and this has never been truer for Microsoft than right now. The last major revision, Windows 8.0, received a very cool reception from the user base as a whole and after two years boasted the lowest adoption rate in the product’s history. Microsoft took a lot of chances on Windows 8, in an effort to create a single operating system that would satisfy desktop and mobile users alike, they ended up satisfying no one. Disregarding the cries of millions of users, Microsoft abandoned the long-established and much-loved ‘Start’ menu for a new tiled interface that many found confusing and cumbersome. In another effort to bring the mobile experience to the desktop, Windows 8 featured an entirely new type of application. “Metro” or “Modern” apps as they were later renamed after a trademark infringement suit were single purpose, full-screen applications that may have been at home on a mobile device – but clearly weren’t wanted on the desktop. There were even more poor decisions and examples of bad design, but suffice it to say that Windows 8 was a disaster that Microsoft did not need. There is no greater source of pride for a company like AVAware, than to have brilliant young people spend a large portion of their careers and their lives with the company. Never has it been more true than in the case of our very own Vera Lukac. Vera (“Vee” as we affectionately refer to her) manages AVAware’s Catalog Development team. Acting as liaison between AVAware and the many manufacturers whose catalogs AVAware publishes, establishing development schedules and administering team work assignments – “Vee” is responsible for the creation and maintenance of over 150 catalogs, and her duties don’t end there. 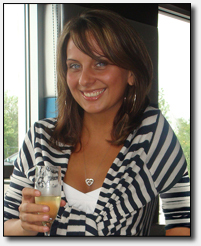 Vera joined the AVAware family in September of 2005, being hired by our co-founder Steve Rendulic. She was in fact the last employee to interview with Steve before his untimely passing only a month thereafter. Vera is one of a small group of employees that had the pleasure of working with Mr. Rendulic, if only for a brief time. For ten years (that seemed to pass all too quickly) Vera has been a vital member of our team, providing an example of finest work ethic I’ve ever been fortunate enough to witness. Her dedication is inspiring and her energy is without limits. Vera, and exceptional individuals like her, have formed the foundation of our company and kept AVAware vibrant and growing for these many years. We welcome any questions, comments or suggestions about any topic mentioned in this edition of AVAwire. Please visit our website for more information, or contact us directly at (416) 239-9099.